On reflection of our achievements on personal goals it is highly due to being part of a team, the spirit of togetherness is a strong factor in our individual progress. 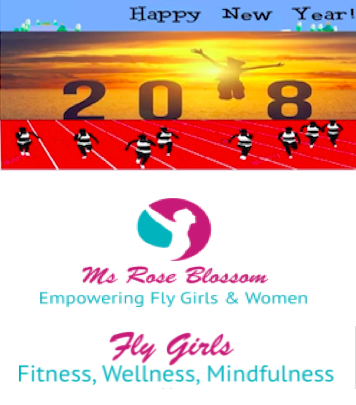 The Fly Girls motivate each other and have developed friendships, enjoyed social outings participating in sports activities such as cycling and entertainment evenings at games and matches. Moreover being there for each other week in and week out (except on event days) to create a positive start to the week, is a powerful driving force. Looking back on the challenges where we didn't tick the boxes are lessons for us to what could have or should have been done as well as giving us more fuel to start again. Also in January 2017 the Getting Started in Writing workshops commenced for new and emerging writers who wanted a community setting to come together to begin their creativity. Predominately a community of women the space was used to exhale in most of the workshops held, the sessions gave an opportunity to discuss matters of the heart and the participants beginning to pen them. One of our members is currently on a healing journey as her debut book work progresses. We look forward to the birth of her book in 2018. What lessons have you learnt from 2017 that will empower you to succeed in the New Year? What goals are you penning down to achieve for 2018? To our past, present and future Fly Girl members, remember we can do this in the spirit of commUNITY!